Once you say ‘yes’ to yellow Venetian blinds, your room transformation is ready to begin. At your no-obligation appointment, your local Hillarys advisor will visit you at a convenient time, with samples of our range. They’ll help you to find just the right option. 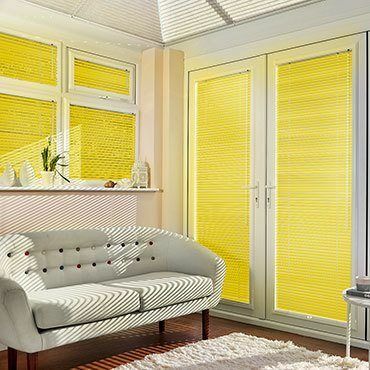 If your yellow Venetian blinds are for a window that’s overlooked, they’ll show you how smaller slats maximise privacy. And if they’re for a darker interior, they’ll point you in the direction of our wider slats. Hues with a hint of glistening gold are especially luxurious, while vivid marigolds and buttercups are wonderfully uplifting. And if your yellow Venetian blinds are for a nursery or playroom, a soft shade is the order of the day. As well as accentuating natural light, yellow Venetian blinds help to control it. 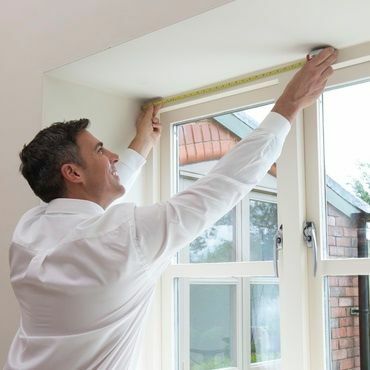 Simply raise and lower the slats, or tilt them open slightly to let a little sun in while keeping prying eyes out. If yellow isn’t the colour for you, then take a look at our full Venetian blinds range for more inspiration.